In this episode of the TechMuze Podcast we take a look at a super simple, 2 track mix of a tune called “Come A Little Closer” By Heather Luckhart. This simple session will hopefully make it easier to hear the subtle effects of some of the treatments we use on a regular basis in a typical mix. 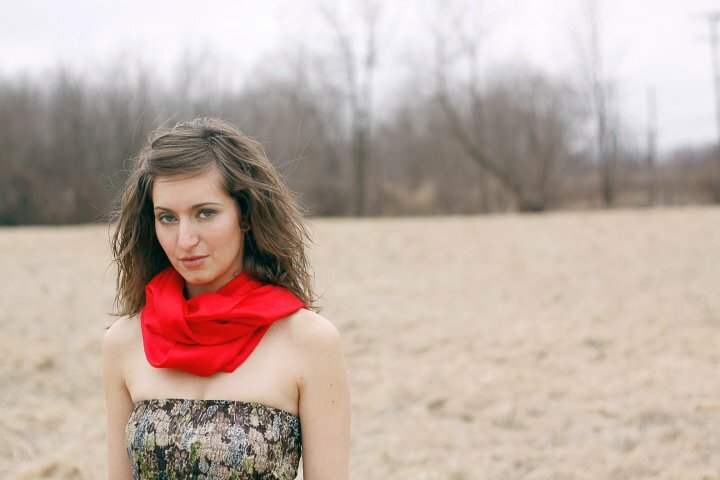 To hear more from Heather Luckhart visit www.HeatherLuckhart.com and get some free tracks via email. TechMuze Ep – 34, I’m Back! Welcome to TechMuze, a netcast designed to educate and inspire your musical creativity through tech – both technology and technique. Please visit techmuzeacademy.ca for show, notes and more. Follow us all over the internet at TechMuze Podcast and as always, enjoy the show. Alright, welcome back to another episode of TechMuze Podcast. It has been a heck of a long time since my last episode. All kinds of things have been going down around me. And yeah maybe let me talk a little bit about that. Let you guys know where I’ve been at. We’re friends, right! I think I can get a litte bit personal with you if I may? Over the last few months I’ve been sort of getting use to solo-living. My wife and I have separated. We’ve mutually decided to go our separate ways and its very amicable. I don’t need your condolences or anything like that. Everything is good. But it did make for some pretty hefty life changes. So, that in a nutshell without getting too deep and personal is what’s been keeping me rather ocupied for the last few months. So, I apologize to you as a listener to the show that I haven’t had the opportunity to get one out in a while. But everythings nice! I’m on even an keel again settling in my new place and we’re back in business. So, that explains a little bit of whats going with me. If you want to fill me on whats going on with you, head on over to techmuzeacademy.com leave me a comments or better yet comeover to the facebook page. Thats facebook.com/techmuze and come and say hey and drop us a link on what you’ve working on there. I put a call to action there a few weeks ago to get people to post a link to what they have been getting into. It was really kind a good. I had a lot of people submit links to their sound cloud page or whatever and I got a chance to listen to what you guys have been working on. And thats great! You know, don’t just come over and spam my timeline with all your links. That’s not cool. But if you want to send me a message and let me know whats been going on with your musical production endeavors, Id be happy to have a list and I’d love to hear what the techmuze community is brewing. So, today on the show I’m going basically just dive right into it. I don’t want to waste a lot of time here since it has been a while since we’ve got into the meat and potatoes of the TechMuze Podcast. What I want you to do today is bring up a mix that I had been working on recently. I did few tunes with a good friend of mine Hether Luckhart. And if you are into sort of soulful, you know really talented female vocal, kind of a bluesy soulful type of style then you’ll definitely going to dig what she’s putting down because she’s very, very good at what she does. The tune I’m going to describe to you today and demontrate what I’ve done is called “Close To You”, once again by Hether Luckhart. Now, the reason I want to bring this tune up is because it’s extremely simple. This entire session is 2 tracks. A guitar track, a single mono-guitar track and a single mono-vocal track. And I want to use this as an example just because it is so simple, it makes it a little easier to hear to some of the subleties and nuances that we have to deal with as engineers. When you get into a bigger mix, something with 20, 30, 40 tracks in it. Excuse me. You’re still implementing the same stategies. Its just of course a lot more subtle and a lot more difficult to hear some of these nuances. So I figured a nice, open intimate track like this would be a good way to explain and demonstrate more importantly what kinds of thought process is going on processing an audio track. Okay! So, there’s only 2 of them in this mix. It’s called “Close To You” by Hether Luckhart. If you want to hear a little bit more of what she does go to hetherluckhart.com. It’s luckhart, spelled with L-U-C-K-H-A-R-T, hetherluckhart.com. She’s giving away some tracks actually. Just throw your email, she’ll send them to you. It’s good music so I highly recommend that you check them out. So, without further ado let’s jump right into the meat and potatoes. Okay, so as I mentioned in an effort to maybe help illustrate some concepts in a bit of more easy to hear scenario, this is a very minimalist session that I did recently with a good friend of mine Heather Luckhart. Great musician! Very talented! 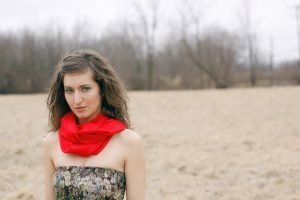 If you want to hear more of her music, go over to hetherluckhart.com. Heather spelled the way you think and luckhart is L-U-C-K-H-A-R-T dot com. This is a tune called “Come A Little Closer” and this session is simply guitar and vocal. And it’s a single guitar track and a single vocal track. So, this is a 2-track mix minus effects channels and so on and so forth. But real, real simple other than acapela. It’s about as simple as it gets. But that does make it a little easier to hear some of these things hopefully that I want to get into today. Just simple things like compression and EQ and the thought process that goes into mixing a simple track like this. When you have a more complicated mix like something with 30 tracks, 40 tracks or more the same concepts apply. It just becomes a lot more…you have to get a lot more strategic and you end up dealing with real nuances and subtle manuevers to try to sort of lock these tracks together like puzzle pieces as the analogy I oftentimes use. Okay! So, before we get into the mix let’s have a look, listen rather to what this tune sounded like before it was mixed. Let me just pull it up here. So, this is straight off the microphone, faders at zero, no plug-ins, no effects. Just what the microphones heard. And by the way for those who are curious what you’re hearing here is an acoustic guitar. It’s a Taylor 614CE Maple guitar with a SM7B from Shure. That’s the microphone I chose to use on this guitar. The SM7B is a dynamic microphone and I like it in this situation because unlike a condenser mic, its a little bit less sort of brassy and bright on the top which gives it a bit more of a sort of rustic kind of intimate sort of sound which is sort what we were going for with these recordings. And the SM7B is plugged into a Golden Age Pre73 Mic pre-amp. A fairly popular mic pre because it does really sound good for the price. I believed they sell for about 350 and then into the MRA16 which is my interface. So, this is what it sounds like, straight from the microphone. Let’s have a listen. Okay! So, that’s a little sample of what we captured off the mics. So, SM7B on the guitar we used an Audio Techica 8043 on Hedder’s vocal and again running through the same signal chain. So, actually in this particular situation, I couldn’t locate my pop filter. So, we actually did this without the pop filter which is not a practice I recommend It’s good to have one. But Heather has great mic technique and great control. And it didn’t become an issue fortunately enough because it would be a sad thing to loose the hard work you know for excessive closeness of piv hops. So, fortunately we didn’t run into that. But like I say I recomend recording vocals always with a pop filter. So, thats what the tracks sounded like. So, let’s have a look and see what we did. I’m just going to mute that what we heard is on a track of its own. I imported as a dry mix just so we can have an A-B comparison here. Let’s take a look first at the guitar. This guitar…we can pull it up here. There it is. I did very little to these tracks. But what I did do was all done in an effort to just clean things up. Get rid of some of the boominess and add a little star quality of the vocal. So with the guitar, almost nothing. All I did was I rolled off the low frequencies with a high pass filter at 80 hertz. So, everything below, actually is set to 76 hertz. Everything below 76 hertz has been removed. So, let’s have a listen to that for a second. Let me solo the guitar. So, this with the high pass filter. And here’s without it. So, you can hear there’s this…there’s like a rumble boominess that’s really sort of taken up the headroom and making the guitar just kind a overrun the track a littel bit. So, let me play it again. This is again without the EQ, without the high pass filter. And then I’ll engaged it… and disengaged. Back in. So, it thins that guitar a little bit. Makes it a bit… see the bit nicer and not be so overwhelming in the mix. But it is…it’s a subtle move. But it has a pretty dramatic effect. Now, the only other thing I did to this guitar is sent it to a room reverb. So, in this particular case, I’m a cubase user. Cubase has a stock convolution reverb called Reverence. And somewhere along the line, I found in a forum someone who had taken the time to create impluse responses for the famous Brocasti Reverb unit that cost about 5,000 bucks. I don’t have 5 grand or a Brocasti reverb unit but I do have the impluse responses of the different algorithms in that particular unit and again if you search around. I can’t remember exactly where I found them but if you google around I’m sure you’ll find these…it’s free downloads of these impulse responses that you can open up inside any convolution reverb. And a convolution reverb if your unfamiliar with it is there is a video over at techmuzeacademy.com on the difference between convolution reverbs and algorithmic reverbs. So, I won’t get into that here with you today but head on over to techmuzeacademy.com or find my Youtube channel and you’ll be able to have a look at that explanation of the difference between the two. Okay! So, so far acoustic guitar we’ve got a high pass filter at 76 hertz. Everything below that is being rolled off. And then we’ve got this room reverb. So, let me get the track playing and I’ll engaged the reverb so you can hear what its doing. So, reverb is on now. Hang on one second. I just got unmute the send. Okay there! Now we can hear it. Let’s try that again. So, this is dry …and wet. Bring that back a little bit. So, dry guitar …and wet guitar. And this is just a sort of studio size room response. So, its not a big long tail massive reverb. And the goal with this was just to give the guitar a bit of width, a bit of space in the mix and so it doesn’t sound quiet so drying in your face. Just to give you a little bit of room. And of course, it accomplished just that. So, that’s all I did to the guitar is a little bit of high pass filtering to get rid of the boominess and sent to the room, to sort of gel with the vocal and to give it a little bit of space and bigness. Okay! So, let’s hear the guitar completely dry without any of these treatments. Bring in the high-pass filter. Bring in the room reverb. And there’s our finished guitar. So, that’s it for the guitar! Real simple. And if you capture your audio correctly, if you have a nice clean single path on the way in, you used a nice microphone that’s appropriate for the source that you’re trying to capture then really you shouldn’t have to do a whole lot to your tracks. Okay! Let’s have a look a the vocal. The vocal is …let me just get rid of this here. The vocal had a little bit more of course because, I mean Heather is a vocalist. She played the guitar here in this tracks too but thats vocal is her thing and she’s got a beautiful voice. And I really want to bring that to the fore and you know give it a little bit of star quality and I think we’ve achieve that. And I leave it up to you to be the judge of that. But let me show you what we’ve done so far. So, first lets have a listen to the finished vocal. Okay, so thats with all of the processing engaged. So, lets break it down and see what we’ve done here. So, first thing in my chain… I’m just going to disengage a bunch of stuff here. Alright. So, first thing in the chain. First of all, lets hear the vocal dry. This is how it sounds dry. Okay! So, let’s hear that one more time. Okay! So, the first thing in the chain is a DSER. I’m using the Renaissance DSER from Waves and basically I’ve got this setup to give us a little bit of compression at about 5500 hertz so 5 1/2 K. It’s set to just …how much compression we’re getting here. So, we’re just getting a little bit of compression. Now, there wasn’t a lot of civilis going on in that phrase. So, let’s hear another. Yeah, so we’re getting maybe 2 or 3 DB of compression at 5 1/2 K on those S’s. So, lets see if I could find a good example of some civilis. Okay, let’s do that phrase right there. Listen to let me see your smile. That’s with the DSER. Let’s by pass it. And have a listen to that again…and with the DSER. So, now I listen to this a second time through on that particular lyric on the see… “Let me see your smile”. It’s a little bit much in the compression but it blends into the mix nicely but when it’s solo it almost makes Heather have almost a little touch of a list. So this is something to be aware of and have a listen for when using a DSER for this purposes. Okay! Now further reason why I set it this way is that I discovered the fact, that after I was in the mix phase the microphone that we use which is an 8043 from Audio Technika has a bit of a sizzle in and around the 5 to 6K range. And so, I want a little bit heavier on the threshold of the DSER because it just …it help to sort of subdue a little of that 5, 6K sizzle that this microphone was giving us that didn’t really sort of fit the 5 I was going for. So, that’s the first in the chain. It’s the Renaissance DSER from Waves. Now, the second thing we did is a…I added LA2A from Univesal Audio, the UADALA2A compressor. If I pull that up I can see what’s on here. I will bring it into the mix and let you have a listen. This is without the compressor with the DSER. And then with the compressor. And you can here there when I engage the compressor, its not a lot of compression going on. I didn’t want to squash anything. This is a real open, dynamic mix. There’s only 2 tracks. So, its easy to be a little more free with the dynamics in a session like this. But what I did want is I want to bring a sense of closeness at that the vocal is close and intimate with you. And so, you’ll notice when I engage the compressor, you can hear a little bit more of the like lip sounds and those type of sounds in Heather’s vocal performance which gives the psycho-acoustic impression that she is right up near you kind a whispering in your ear almost. That’s the sort of intimate vibe I was going for with this. So, let’s hear that again, again. First with or without the compresssor. First without the compressor… and with. Without…with. Okay, so hopefully you can hear what’s going on. I’m hoping that you’re listening to this in a good listening environment. Maybe some good headphones or what not to really hear cuz a lot of these things are not quite as obvious on say laptop speakers or something of that nature. Okay! So, so far we’ve got a nicely recorded vocal, with a Renaissance DSER and an LA2A compressor from Universal Audio. And this is what we got. So, next thing I want to do is add in a little ambiance so I did send her voice to the same room reverb that I used on the guitar just to add some consistency and make it sound as though the tracks are recorded together in the same room. Because they were but they were not recorded on the same time. She recorded the guitar tracks and then we went back and recorded the vocal over the top. But I did want the track to sound as if they’re on the same space. This is what the vocals sounds like with the room reverb. Here we go! Without…with. Now, I didn’t touch the reverb at all in terms of the presets,the ways that you can adjust the impulse response. I just simply opened up the Brocasti Studio impulse response and then let it go. One thing I did do however is EQ the effects returns and I’ll get to that in a second. So, so far we got a DSER, an LA2A compressor, a littlt bit of room reverb and then the last thing I did. Well, one of the last things I did in terms of ambience anyway is I added a little bit of a 16th note delay, just subltety, just to give a little bit of sense of space and bigness to the vocal, without it smearing or sounding distant and far away from you because as you know as you go to reverbs and delays they have the tendency to create the sensation that the sound source is distant. It’s further away from you. And that’s base on the way how sounds happen in the physical world and the way the auditory system perceives them. So, let’s have a listen to that vocal phrase, without and with the delay. So, here’s the without the delay…and then with. Without…with. Now, that’s extremely subtle and I did this less for the effect of delay and more for just the subtle sensation that it brings to the sound. You don’t really hear the delay. You more so kind a feel the presence of the vocal shift a little bit rather than hearing the delay signal. Now, if I turn this delay up you’ll hear what it’s actually doing. Let me do that for you. Okay! But I don’t want it to be obvious like that. I want it to be…let me get in here for a second. I want it to be more subtle as I have mentioned before. Put that back to where it was, right about there. And hear that again …and without it. One more time with. Okay! And that’s more or less what’s going on with the vocals. Now, there was one other thing I did here. I gave it a little subtle cut, at about 250 hertz and let’s have a listen to that. Without the cut. Now depending on your listening situation you may not hear the difference there. It’s very subtle. Its only a DB or so cut with a fairly wide queue at about 250 hertz and the reason was is how interactive with the guitar. So, let’s bring the guitar in for a second and have a listen and see if that’s a little more obvious. So, here is without the EQ treatment…with it. Without…with. Okay! So again, extremely subtle. It was just something that was just slightly bugging my ear a little bit and I brought that in. And in the last thing is I did is I add a high pass filter or also known as a low cut filter. Again, to get rid of that information in the bottom end that’s not musically relevant. But is there and is sort of adding a certain mudiness to the sound. So, let’s hear that with and without. Here’s the one with the low cut… with. Okay! So, again it’s not dramatic but it’s very subtle. But it just kind of…again, it’s more of a feeling than a hearing thing. Like it felt to me that there was some pressure down below or so mudiness down below and a little high pass filtering just cleared that up and allowed me to focus my attention more on the parts themselves, the vocal and the guitar without this cloudiness for a lack of a better term going on down below. Okay! So, once again let’s hear this vocal against the guitar. But lets here it without our treatments. Here we go. Let’s bring in the compressor and DSER. Let’s bring in the ambiance, delay and reverb. And last but not the least we’ll bring in the ever so subtle cut at 250 hertz. And there you have it! A real simple mix. Now, there is one other thing that I did to help this mix out. And this is something I commonly do and that is on my room reverb return I added a high pass filter, pushed her all the way up to 850 hertz. Everything below 850 is being rolled away. And let me show you the difference when I engage and disengage that high pass filter also known as a low cut filter at 850 hertz. This is without the high pass filter. Let me bring it in. Listen to the nasty rumble that comes in when I turn off that high pass filter. This is something that is extremely common and when I discovered this particular issue with my mixes or this particular technique for resolving it. Man, what a difference it makes because it’s a real, simple, subtle thing to do but a lot of times people don’t think of it in the beginning. Again, what I got is an ox, an effects bus with a reverb on it. And on that fader I have applied a high pass filter. So, again listen to the difference. Without a high pass filter. Actually, I’ll start with it and then I’ll turn it off and you’ll hear it how… it muddies up the sounds. And again, both tracks, guitar and vocal are being sent to this reverb so its having an effect on both of those tracks. Let me turn it off here. Let me bring it back in. See here how all that when I bring in all that high pass filter all that rumble and nonsense that’s not musically relevant dissappears and its almost like cleaning a glass. And you can see more clearly at the actual instruments – the vocal and the guitar itself. Okay! That is an entire mix of 2 tracks, very, very simple intimate kind of a singer-song writer arrangement. So, I hope you find some of those tips useful and we’ll talk again in moment. And actually you know what before I wrap up this segment up let me just give you an A B between the completely unmixed version and then the final results. So, fix this a little bit. Set this up. Unmute that track and we’re good. So, let’s have a listen. This is what we started with. So, that’s no plugin straight off the mic. And here’s what we finished then. I’m going to level match them a little bit so it’s a little more apparent. Dry no mix. And with the mix…and back again. And there you have it so like I say real simple mix. There’s nothing real revolutionary going on in there but I thought it was a good opportunity to explain some of the subtle things we do on a regular basis. Incidentally, the only other thing thats involve in this is a little bit of an altimeter from Waves on the stereo bus just to bring the volume a little closer to the zero line. I’m not squashing it much at all in fact I’m only gettting about maybe a DB of compression very ocasionally on some of the higher peaks. So, its very subtle. It’s not doing a lot of squeezing. It’s just sort of raising the low level up to the ceiling a little bit closer. Okay! So, like I say hope you dig that and leave me comments and let me know what you think. I hope that was helpful to you. Let me know by the way. Leave me comment if you are at the techmuzeacademy.com listening to this post. Leave me a comment there below the post. Or come on over to techmuze, oh sorry facebook.com/techmuze and say hey over there. Trying to get more conversation happening. Let me know what you are working on. I love to hear what people are working on. Once again if you want to hear more of Hether’s Music go to heatherluckhart H-E-A-T-H-ER, Luckhart L-U-C-K-H-A-R-T dot com. She’s actually giving away some tracks I believe mentioned that earlier in the show. Throw your email in and she will send them to you. It’s beautiful music recorded right here at techmuzehq also known as my apartment. So Heather Luckhart…check her out. We appreciate her letting us use her music for our example here today. Once again facebook.com/techmuze common and say hello. We will see you on Episode 35 and I’m going to play you out with “Come A Little Closer” by Heather Luckhart. I have nothing to use this on yet, but I hope to apply these techniques soon owo Im writing some of my own songs right now so I can mix a solo album. Do share when you have something to show! Thanks Dezz. This was extremely helpful! My question is in regards to mastering. Would this song actually need mastering? If yes, how much headroom should be left on the stereo bus? If yes, then would you leave off the last step of limiting? If yes, what else might a mastering engineer do? When does the dithering come in? Thanks!